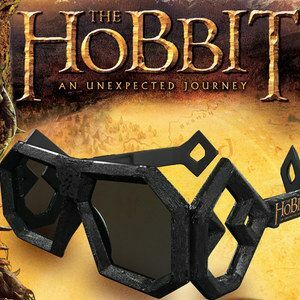 The Hobbit: An Unexpected Journey Limited Edition 3D Glasses Photos! Warner Bros. and New Line Cinema will give The Hobbit: An Unexpected Journey fans an extra special treat when they head to theaters this December. We have photos of limited edition RealD 3D glasses that will be handed out in select theaters to fans who see director Peter Jackson's new Middle Earth adventure. Take a look at at these new specs for one of the year's most highly-anticipated movies.